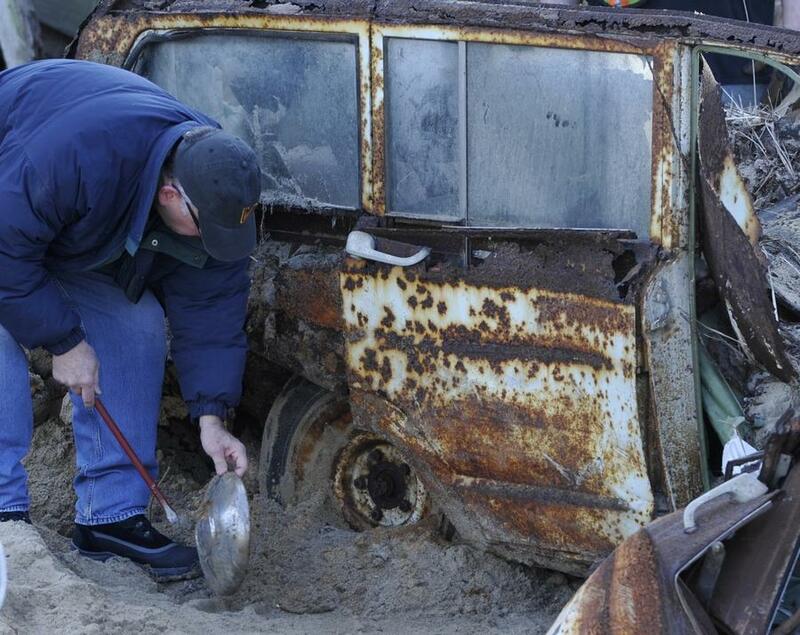 There's barn finds and then there are barn finds. John Moore loved his Jeep Wagoneer. 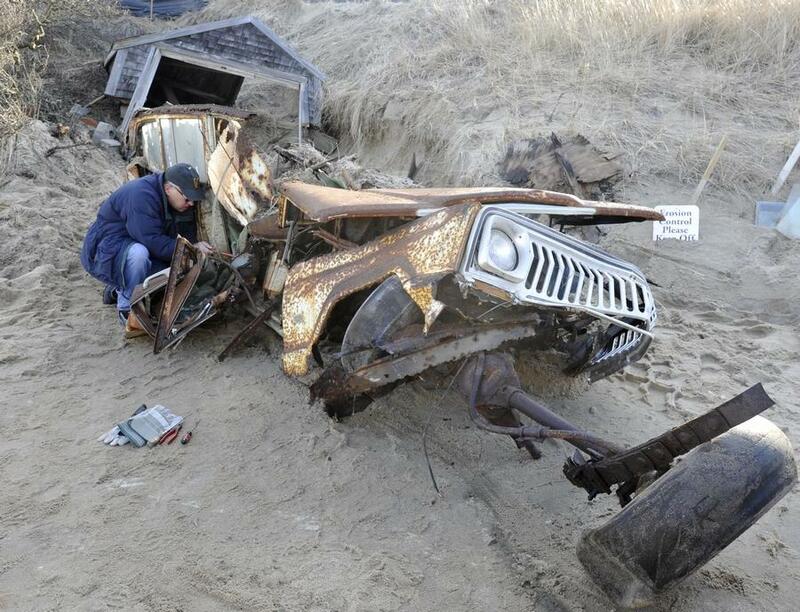 He would drive it up and down the beaches of Cape Cod where he lived. 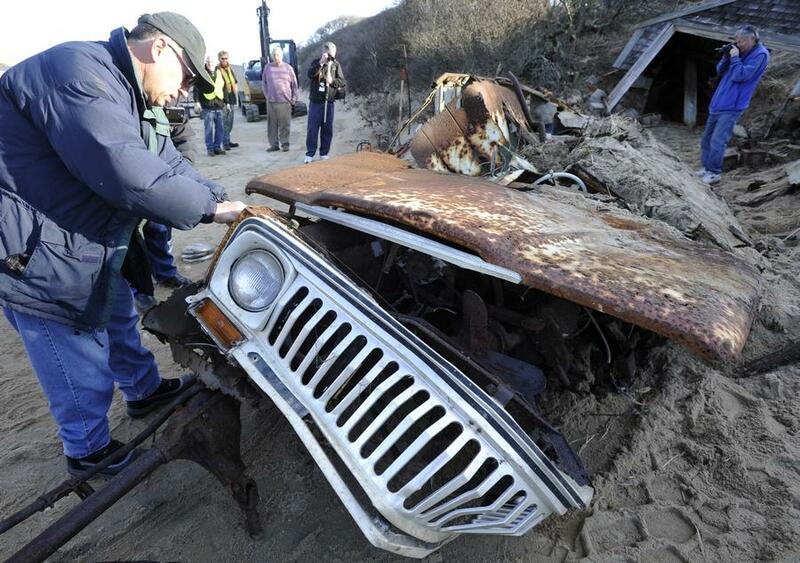 For John Musnuff, he grew up hearing of the Jeep parked in the beach garage for years. When his mother inherited the Moore home, the Jeep remained entombed in the small wooden garage near the beach where it had been parked in the 1970s with a fuel issue. There it remained until a few days ago. The garage had literally collapsed around the Jeep. Sand had blown in and the salt air and moisture had taken it's toll. A front loader was utilized to pull the Jeep from the shed and after a few tugs it literally fell apart with the force before seeing daylight for the first time in about 40 years. Musnuff used a crow bar to remove the hub caps and a couple of emblems but nothing else was salvageable. Piece by piece was loaded in to a waiting dump truck and hauled off to a nearby scrapyard.